Hello friends its Azeemsky here, Many penguins that are new to Club Penguin usually want to learn new things about the game, so I made the page to teach all of the new penguins how to become a Tour Guide in Club Penguin! I will also give you all of the answers to the Tour Guide quiz, so that you will be sure to pass the test on your first try! Keep in mind that your penguin must first be 45 days old. 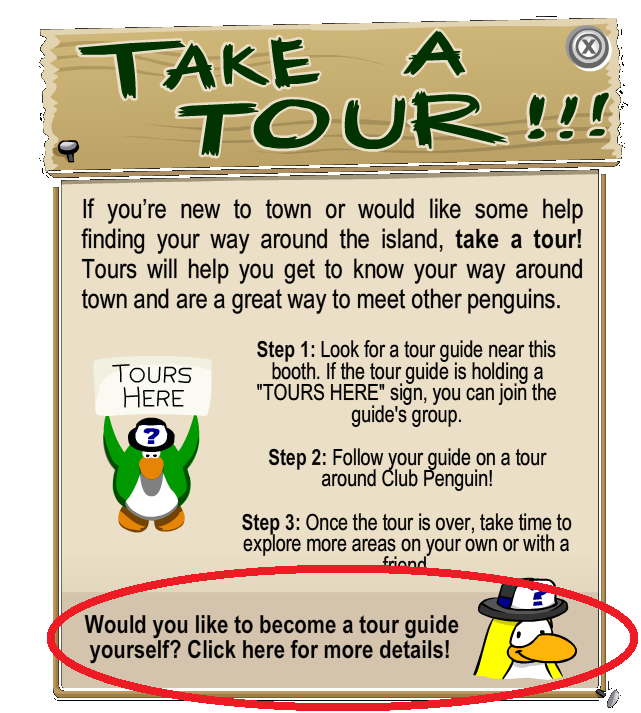 Alright, now here is a step-by-step guide on how to become a Tour Guide in Club Penguin. Check it out. Log on to your penguin account normally. Once you enter the room, click on your Map on the lower left of the room. 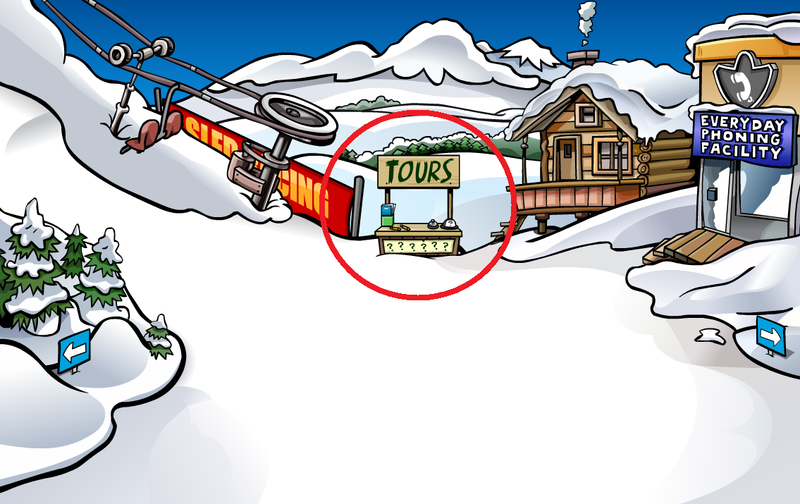 Go to the Ski Village and click on the Tours stand. Once you click on the Tours stand, click “Would you like to become a Tour Guide youself? Click here for more details” at the bottom. Once you do that step, click on the button that says “Take the quiz”. When you take the quiz, you may use these answers to help you complete the Tour Guide test. Keep in mind that these questions may not be in order, so be sure to check all of the questions and answers for the Tour Guide test. 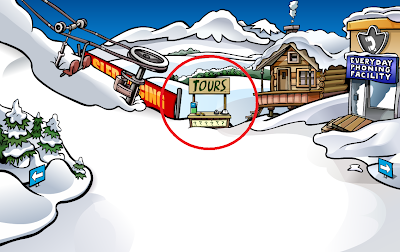 Alright, here are all of the Club Penguin Tour Guide Cheats. 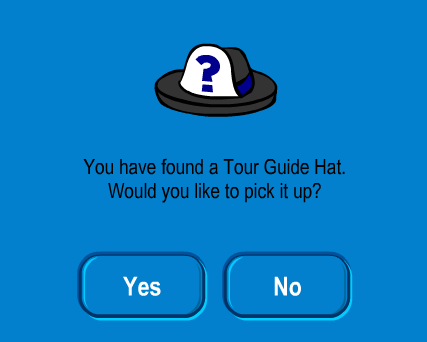 Once you answer all of those questions correctly, you will receive your brand new Tour Guide hat! You will then get access to your guide on how to become a great Tour Guide. You can give a tour by putting on your Tour Guide hat and pushing “D” on your keyboard. Then you can show penguins around the island by going to Safe Chat>Activities>Give a Tour. 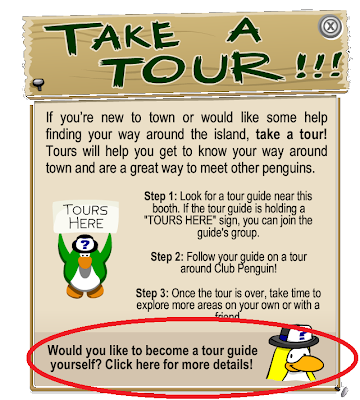 That’s how to become a Tour Guide on Club Penguin! I hope this guide made it easier for you to become a Tour Guide! Waddle on! Thank you for visiting ClubPenguinSky.Blogspot.com. 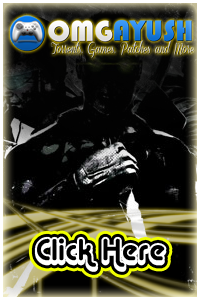 This website is not affiliated or associated with Club Penguin or the Disney Online Studios Canada Incorporation. All images, penguins, games, animations, logos, and content is owned by Club Penguin. All rights reserved. © 2012-2013 by ClubPenguinSky.Blogspot.com.